Comments: Extremely common throughout the spoil as it accounted for a large portion of the lode. 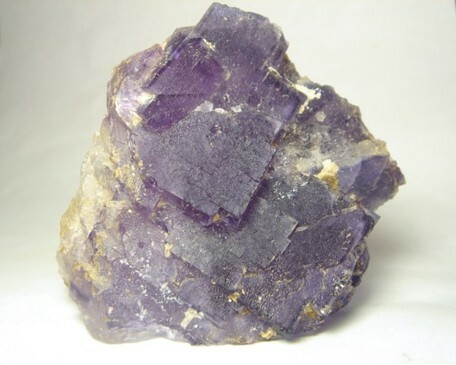 The majority of smithsonite is found cementing heavily fractured fluorite together. Purple cubic crystals are often coated with mammilated smithsonite. 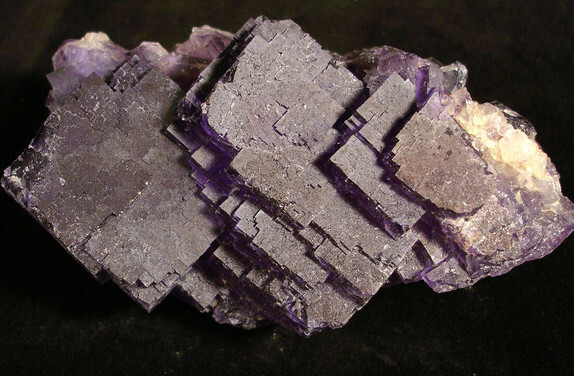 Very rarely purple cubes can be found associated with limestone matrices. 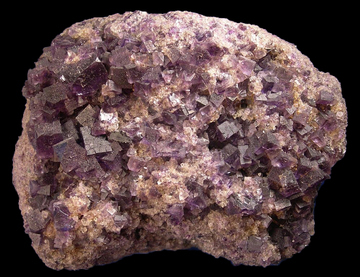 Smithsonite ⓘ18 photos of Fluorite associated with Smithsonite at this locality. 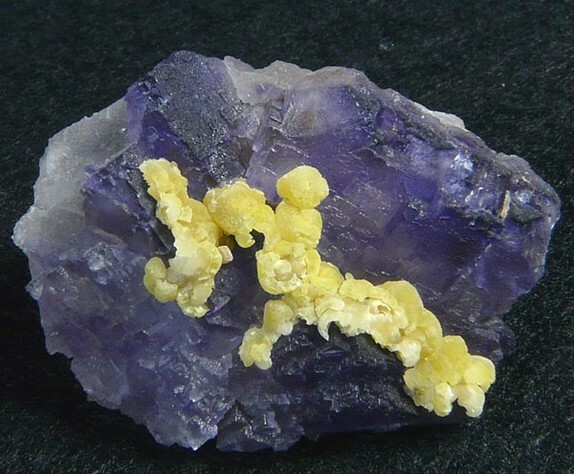 Hydrozincite ⓘ2 photos of Fluorite associated with Hydrozincite at this locality.